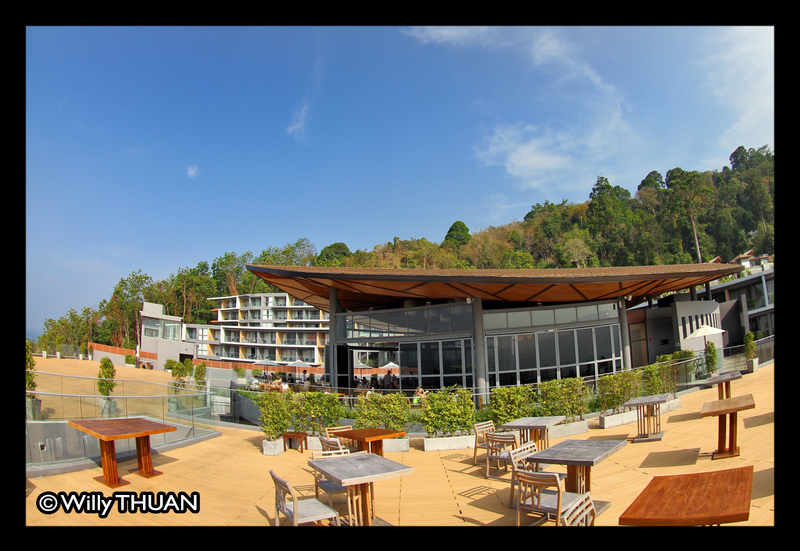 Kalima Resort Phuket is a hotel with amazing panoramic views of the immense bay of Patong Beach, built on a green hill near Kalim Beach in Phuket. 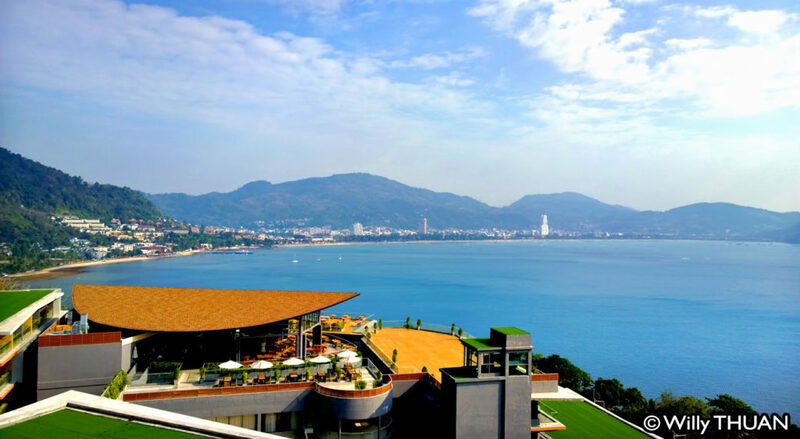 With such unique location, guests can enjoy the views but also a strategic location within minutes of Patong Beach without any of the traffic inconvenience. If you drive north, you will reach the beautiful Kamala, Laem Singh and Surin Beach. Except for the deluxe rooms, all of the 190 rooms of this trendy resort offer great views of the ocean. Waking up with such panorama through floor to ceiling windows is a great way to start the day. Just in front of your room, a large balcony with table and chairs is a perfect spot to enjoy a sunset with a drink. Of course the private pool villas would be the best choice if you can afford it, but we were more than happy with our honeymoon suite. The rooms are larger than usual and designed with practical comfort in mind. They offer all the conveniences for today’s active travelers: A large desk, large flat screen TV with plenty of satellite channels and plenty of universal electric plugs! If you too travel with laptops, multiple smartphones and camera battery chargers, you will understand how convenient we found this. All rooms at Kalima offer a smart choice of 2 wireless internet connections: a fast one for only 150 baht a day and a free one. We tried both and even the free one was working well enough for us, but as 150 baht wasn’t excessive we took the fast connection for our entire stays. 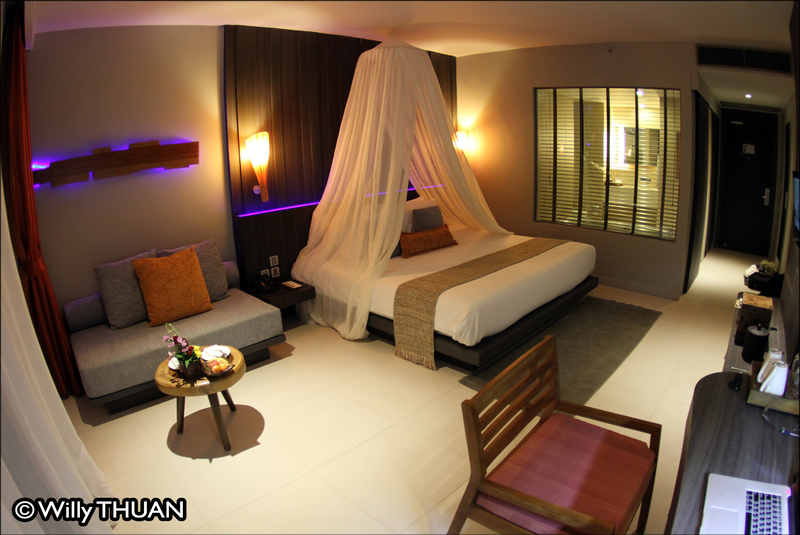 The bathroom is also large and comfortable with a rain shower and a big bathtub (with bath salts), perfect after that very long Phuket exploration day plus you get those nice bathrobes and slippers to lazily hang around after that. Two other attractive points of Phuket Kalima Resort are the infinity pool and the beautiful panoramic restaurant surrounded by a vast terrace. 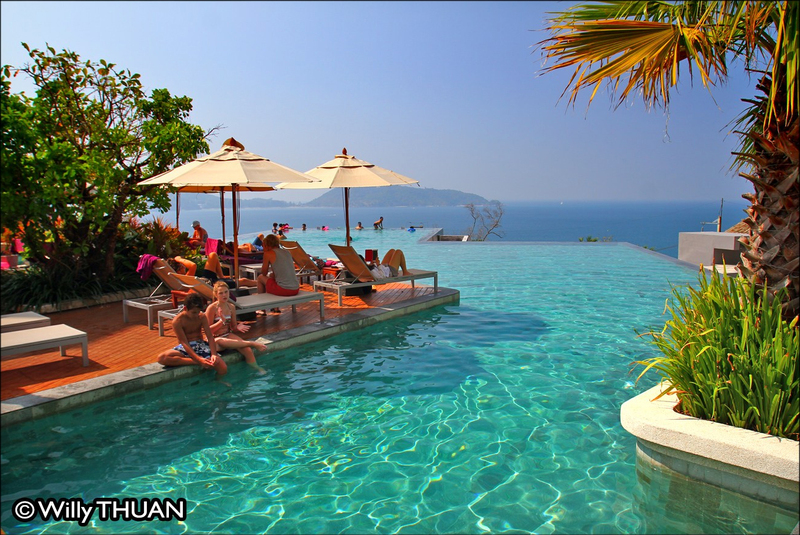 The swimming pool is not immense but very attractive with a swimming area overlooking the bay and a swim up bar, irresistible during a hot day. Plenty of deck chairs are available all around but the place is not too large and can get busy at some hours. 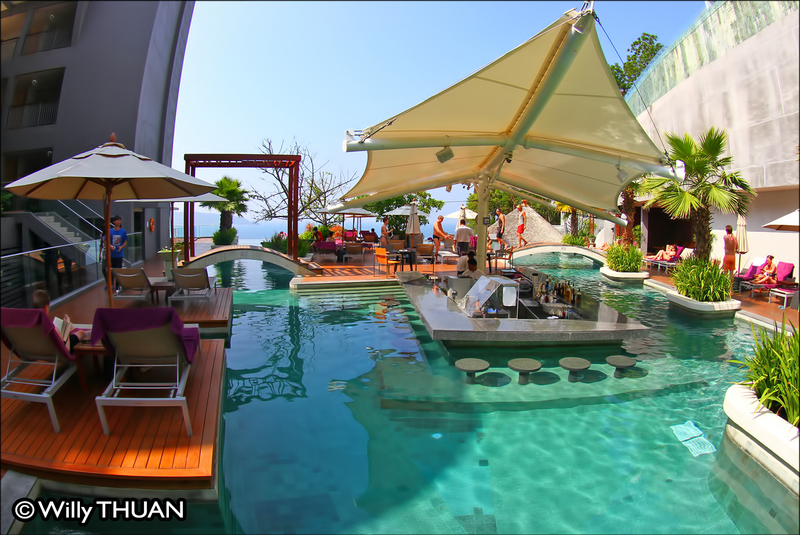 Kalima Resort Phuket features three restaurants: Lima Rock, Thai Taste and Malika, the main restaurant. This main restaurant is entirely open, making it very airy and really agreeable for a lazy breakfast, the most important meal of the day. 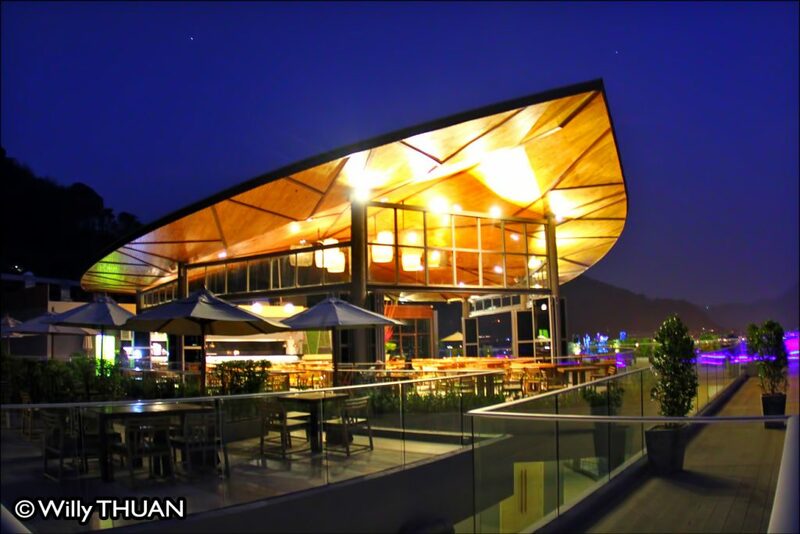 The buffet has everything you need and the staff is fast and efficient, even during busy hours. The fitness room is of modest size but well equipped and overlooks the swimming pool; next to it you will find the kids clubs. The spa and its nine treatment rooms is a must if you are on holiday, especially after too much sun, too much walk, too much party or on rainy days. Note that if you travel to Phuket during the low season and the day appears to be a rainy one, book the spa early as everyone will have the same exact plan!Other non negligible convenient aspects: the hotel has its own mini-mart selling drinks, snacks and the usual ‘forgotten at home’ items. Surprisingly you will also find a small artificial beach (yes!) and a 9-holes mini golf anyone can enjoy for free! (7am – 5 pm). Just note that the hotel is built on a hillside so there are few stairs and elevators and it might not be your choice if you have limited mobility. 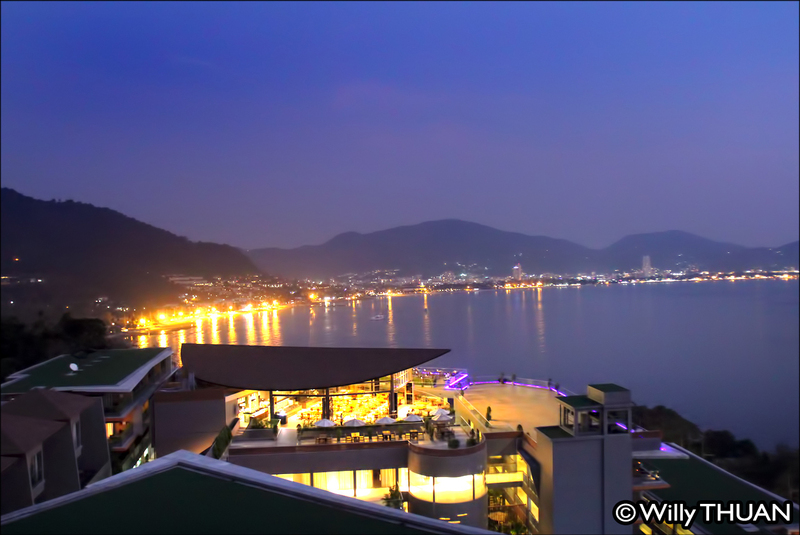 As a photographer I needed to move around Phuket a lot and Kalima was for me the perfect location to reach Patong and any part of the island without too much stress. The overall design of the hotel was refreshing and the facilities matched my needs perfectly. I really enjoyed the large rooms with bathtub and the superb panorama from my balcony, making my stay very relaxing after long exploration days.